In early 2013, a group of Bayview non‐proﬁts, small businesses, faith‐based organizations, universities residents and city agency stakeholders came together to create a vision for the Bayview that ensures the health and well-being for all residents and local agencies in a future that grows richer in stressors and shocks every day. Out of this process, Resilient Bayview was born and over the course of the last few years, the program members worked intensely to create a Resilience Action Plan that inventories the goals and objectives that will guide the group’s efforts to empower local agencies and residents to prepare for and recover from disasters of any size. Register for the 2019 Resilience Action Plan Development Workshop! The leadership of the Resilient Bayview (RBV) and District 10 Supervisor Shamann Walton invite you to the 2019 Resilience Action Plan Development Workshop. Building on RBV’s 2018 successfully advancing the readiness of local agencies and residents for shocks such as heatwaves and poor air quality, the Resilient Bayview leadership has spent the last 3 months refining its 2019 strategy and now needs your agency’s input to finalize its goals and objectives. Location: Bayview YMCA, 1601 Lane St.
Sign up for the Resilient Bayview 2019 Launch Event here! In 2017, the Bayview experienced a series of unprecedented heat waves that saw the temperature rise to over 100 over the course of two consecutive days for the first time in recorded history. The Resilient Bayview Executive Steering Committee activated its HUB and were able to establish a cooling center at two separate locations. As a result Resilient Bayview formed the Extreme Weather Working Group and secured funding from the San Francisco Dept. of Health create a culturally competent preparedness / response strategy that will help protect the impacts of climate change on the health and well-being of all those that live and work in the Bayview, especially the vulnerable. On September 1, 2017 the City and County of San Francisco activated its EOC in response to the heatwave that was generating record temperatures in the City’s neighborhoods. 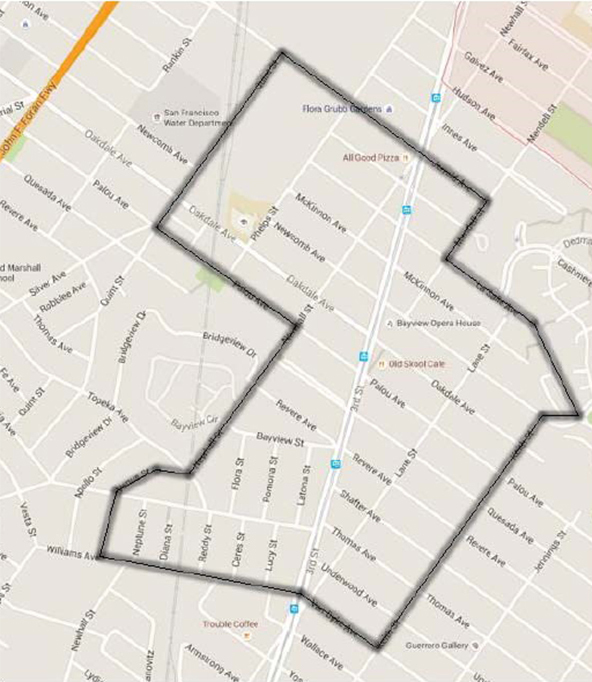 HSA contacted the Neighborhood Empowerment Network (NEN) to stand up a cooling center in the Bayview community on Saturday, September 2nd from 10am to 6pm. The NEN reached out to the Resilient Bayview Leadership Team to support the HSA’s request. 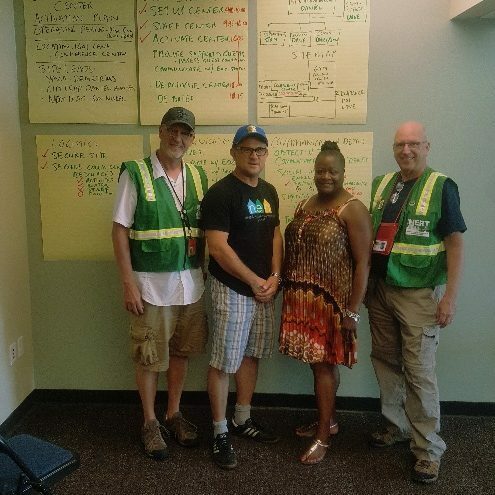 Over the course of the next fourteen hours the team identified a location (Bayview YMCA), secured staffing resources, managed the activation and operation of the cooling center and then demobilized at the request of the EOC. The team issued a report that outlines that activities that were taken, by whom and when. Check out the Site Activation Report here. In August of 2017 the A. Philip Randolph Institute (APRI) successfully graduated its third Resilient Youth Leadership Academy. The ceremony was held in City’s South Court and was attended by the graduate’s families, APRI staff, Sup Sandra Fewer and City Administrator Naomi Kelly. It was a fitting conclusion to a powerful eight week immersive learning experience that provided the Academy participants with a behind the scenes understanding about the impacts of climate change on the Bayview, the strategies that are being developed to mitigate its impact and how the agencies work that are charged with protecting the health and well-being of Bayview Residents. On October 7th, 2017 Resilient Bayview hosted its first neighborhood-wide Neighborfest. This all-day event featured four live bands, including a Navy Jazz band, a huge health resource fair, climbing walls, an earthquake simulator, a delicious free lunch and CPR & fire extinguisher trainings. The goal of the event was to introduce guests, over 500 attended, to ways to become healthier and better prepared in a positive fun atmosphere. 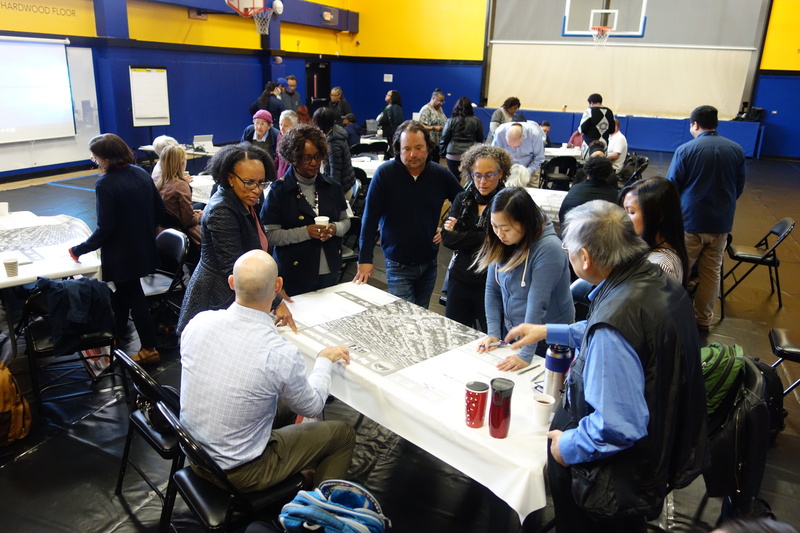 It was also was a great opportunity to bring together the agencies of the Resilient Bayview Town Center HUB to practice working as a team to support the needs of a large group of folks. The reviews were very positive and it looks like RBV Neighborfest will be back in 2018. Since 2013, a group of Bayview non-profits, small businesses, faith-based organizations, residents and city agency stakeholders have been working to advance a vision for the Bayview. This vision is of a community rich in social & economic opportunity and success for residents and businesses. 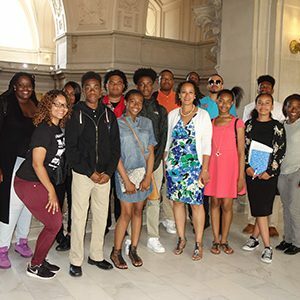 The Resilient Bayview program members have worked intensely to inventory and prioritize the goals and objectives for the various community stakeholders. These stakeholders are committed to making the Bayview a great place to live, work and visit. 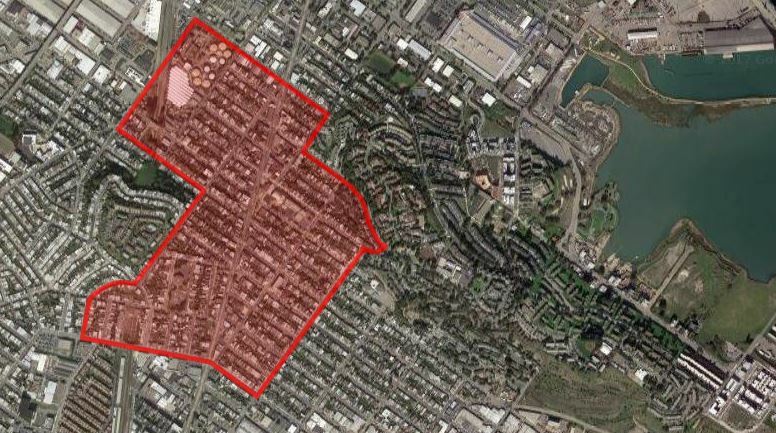 Bayview is an active and dynamic community where individuals, families, organizations, and businesses deliver exceptional goods and services, all the while providing opportunities to catalyze the economic, spiritual, and cultural potential of the neighborhood. During times of stress, our community will collectively respond with confidence and compassion. Download the Bayview Resilient Action Plan by clicking the icon below. The leadership of Resilient Bayview has crafted a resilience strategy that builds on the organic daily behavior of Bayview. The main economic corridor of the community is 3rd St. which is lined with small businesses, restaurants, schools, faith based organizations, gymnasiums, government buildings and public open spaces. Every day thousands of Bayview residents receive support from this complex network of cross sector agencies. The RBV leadership determined that during times of stress, residents are most likely going to come to 3rd St. to secure a wide variety of support, so the leadership determined that the best course of action would be to establish three “HUB”s along the corridor. A HUB is a network of community serving agencies that work every day to increase their internal readiness, as well as that of their staff and clients, as well as have the capacity to work collectively to meet the needs of the surrounding community during times of stress. The first of these three HUBs is the Town Center HUB whose major feature is the Mendell Plaza. 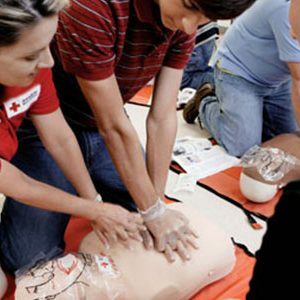 The Community Youth Center (CYC), Red Cross and SF DPH are offering free trainings including First Aid/CPR and Psychological First Aid training throughout the community for Bayview residents and nonprofit organizations. All programs focus on what you need to know right away to get you trained and certified as quickly as possible. Click here to visit the Red Cross website and register online. Sign up here for our latest Psychological First Aid Training on June 28th. 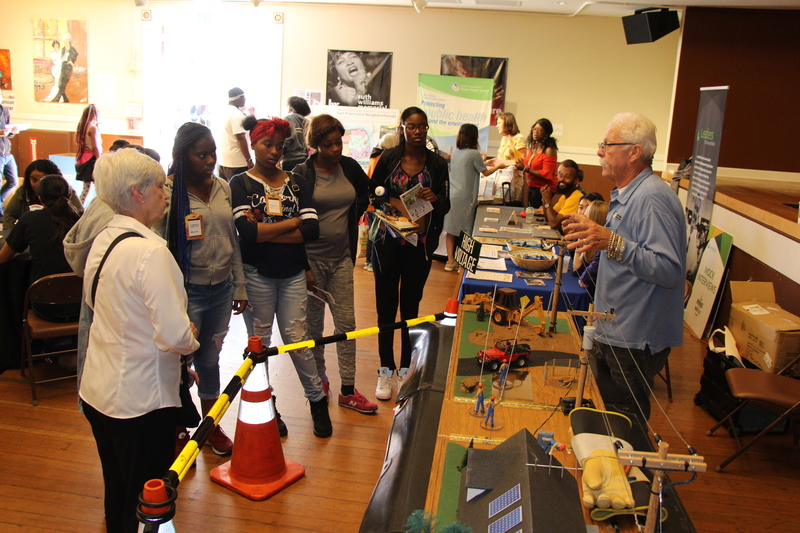 Click to view photos and report for the 2nd Annual Resilient Bayview Neighborfest! Thank you all for contributing to the success of the 2018 Resilient Bayview Neighborfest. 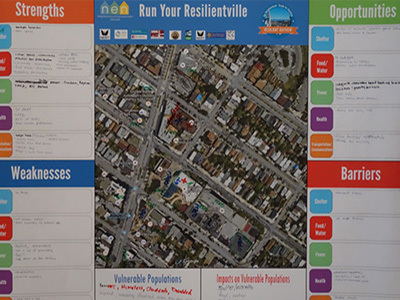 Click below to see photos, videos and the 2018 Resilient Bayview Neighborfest Report. Go to Resilient Bayview Neighborfest! Congratulations on a Successful Resilient Bayview Neighborfest! Resilient Bayview hosted its first ever Neighborfest event! We organized a community health and disaster resource fair, celebrations with music and family friendly activities! 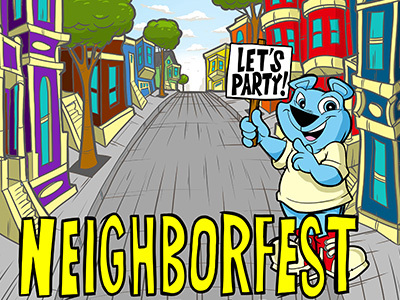 The 2017 Neighborfest Program offers Host Committees an end-to-end experience that empowers them to pull off the best block party their neighbors have ever attended. This year’s Neighborfest program is the ultimate resource for building a stronger, more connected community. We are no longer accepting applications for 2017 Neighborfest. Click here to download the Neighborfest toolkit and learn more about our program. 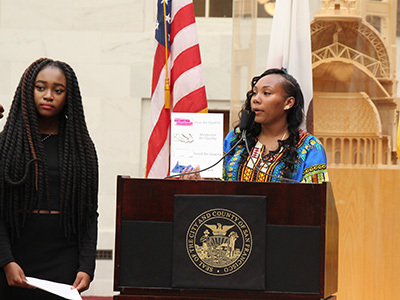 The 2017 RYLA graduation was held on July 28 at City Hall. We congratulated the young leaders as they showcased their projects and accomplishments made throughout the year. Their finished project is currently on display on the 3rd Floor at City Hall. 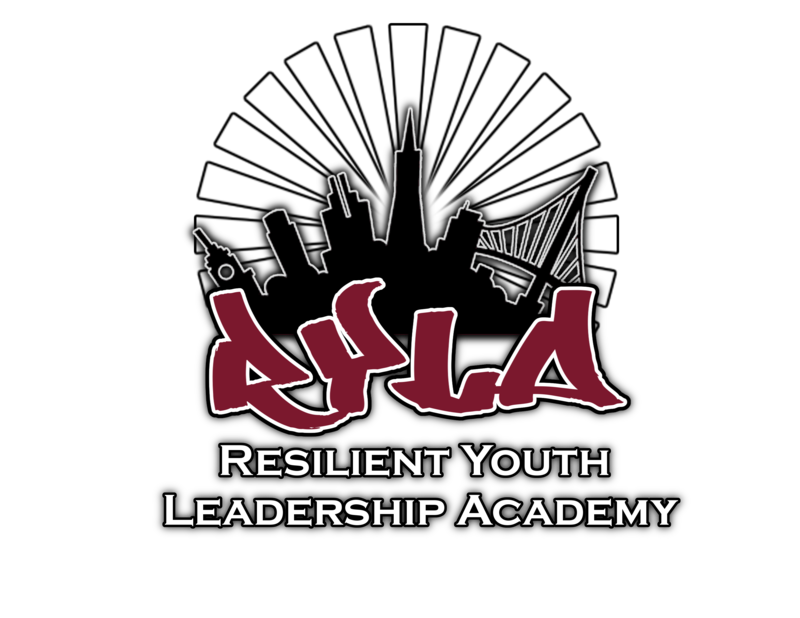 Click here to visit the RYLA page and learn more about our program. Rebuilding Together San Francisco is working closely with residents, non-profits, local businesses, and city agencies to rebuild four blocks in Bayview on September 15th. This is a block party and volunteer opportunity for those who live, work, and play in the Bayview! 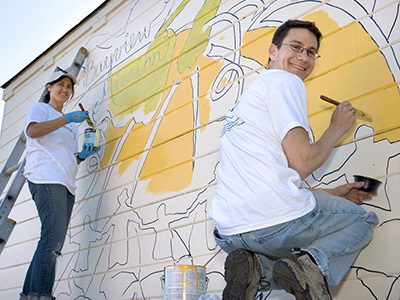 Click here to visit the Rebuilding Together SF page and learn more about the program.